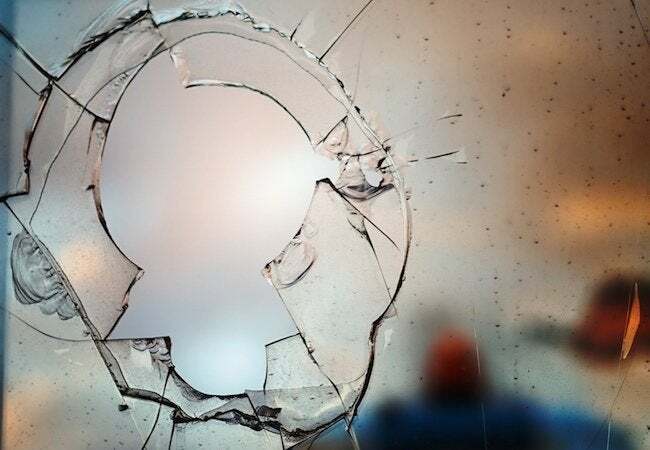 At one time or another, most homeowners must deal with a broken window pane. Save the cost of a contractor and make the repair yourself—here's how. Has a pint-sized baseball player in your neighborhood recently hit a home run through your bedroom window? Here are some tips for fixing it. Once are wearing gloves and goggles, remove the broken shards by pulling them toward you. That way, if a shard breaks, the splinters are sent safely away from you. Next, scrape and sand the notch of the sash where the new pane is going to go. Then run a bead of caulk around the notch, not only to provide a cushion for the glass, but also to help make the window weather-tight. For help in positioning the pane of glass, fold a short length of duct tape in the middle, forming a tab. Now stick the tape onto the glass. That’ll function as a temporary handle. Once you have the new pane in place, open your glazing compound, remove a lump with your putty knife, and roll it on a flat surface until it looks like a length of rope. Set it next to the edge of the glass and use your fingers to smooth it out. Once you add a few more lengths of glazing compound around the window, you’ll be done… except for a little sanding and a coat or two of paint!